The marine reptiles of the mesozoic era were only distantly related to the dinosaurs, but they lived at the same time and probably preyed on them if they got the chance. Many were giants with formidable jaws, and some were as highly adapted to life in the water as modern whales and dolphins. 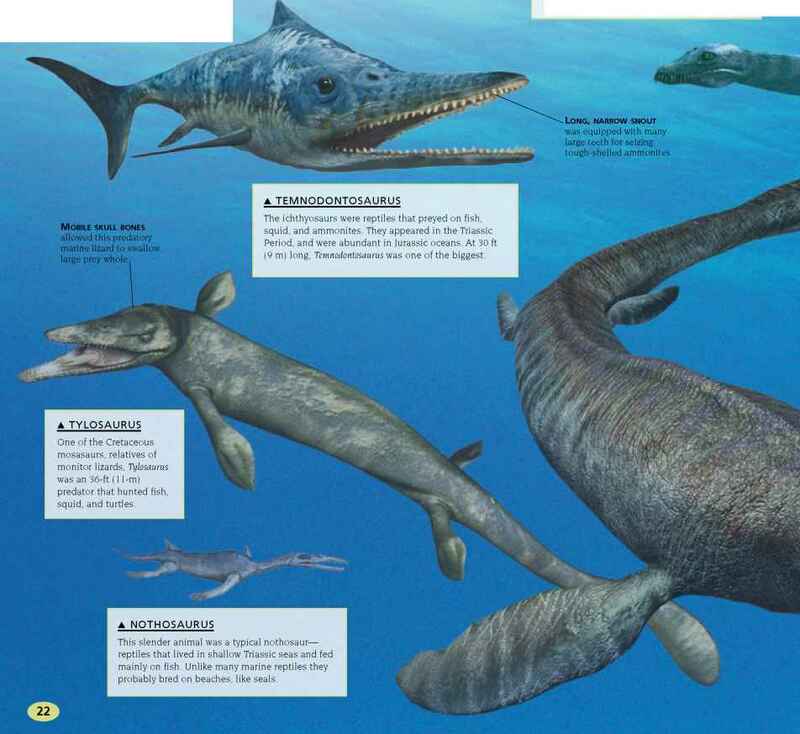 Since they lived in the sea, where fossilization is much more likely, many of their fossils are superbly preserved, complete with the remains of the animals that they had eaten just before they died. One fossil ichthyosaur even captures the moment of birth, showing that its young were born fully formed and tail first, like those of porpoises. 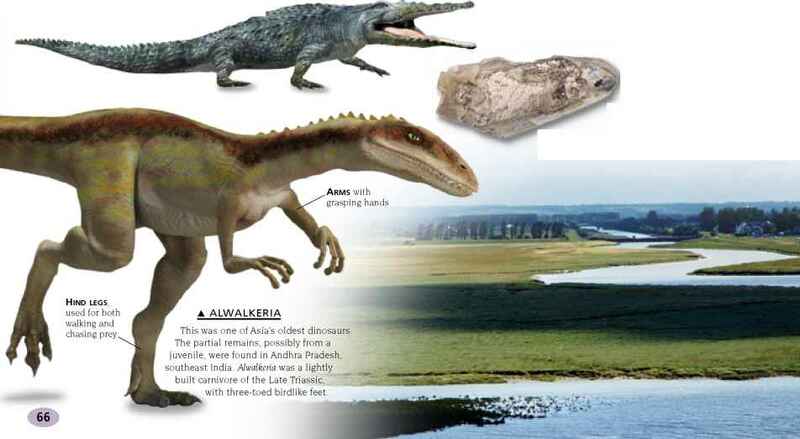 Aquatic reptiles also lived in freshwater. They included giant ancestors of today's crocodiles, like the Cretaceous Deinosuchus—a monster with a skull more than 6 ft (1.8 m) long.